In this first part I want to show you the resources needed for installing a vCloud director homelab. There are a couple of things that are not supported by VMware. So installing it this way is not supported and you should not use in a production environment, this should be only installed i a homelab environment. As said I presume they are already installed and as so, I will not handle those. There are plenty guide online for these installations. 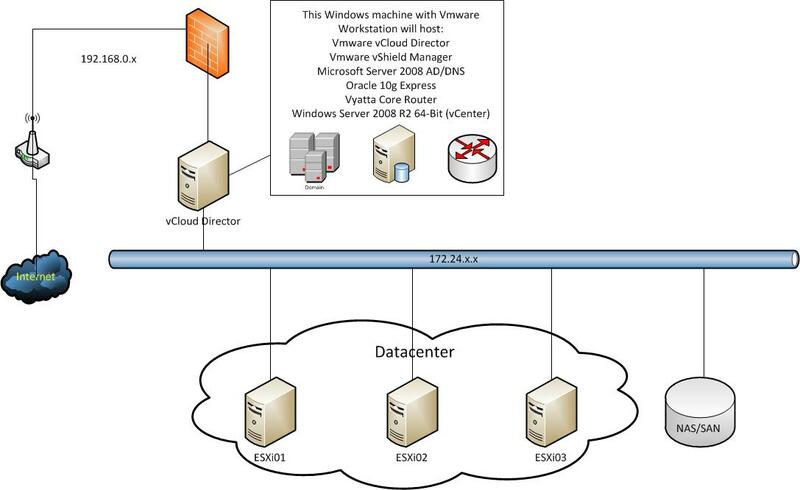 My vCenter server will use the database server provided by the VMware software. I will do a seperate post on installing CentOS with the installation of the Oracle 10g Express database for the vCloud Director software.